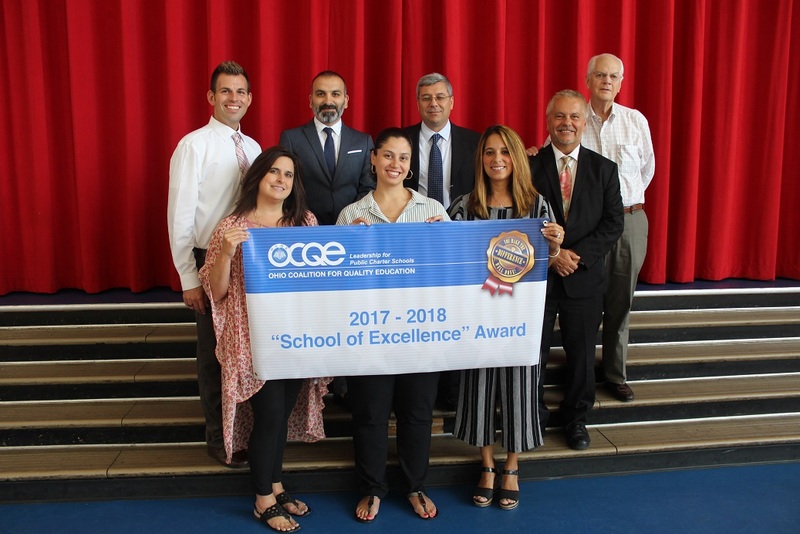 On Friday, August 24th, we received a “School of Excellence” award from the Ohio Coalition for Quality Education (OCQE) for impressive student growth in math and reading. A special thank you goes out to Ron Adler of the OCQE for our recognition. Congratulations to our teachers, our administration, our staff, and of course, our wonderful students and their families! Front Row Left to Right: Mrs. Christy – Assistant Principal for 6th-8th Grade, Ms. Santos – Dean of Students for 6th-8th Grade, Mrs. Bova – Dean of Students for K-5th Grades. Horizon Science Academy Youngstown receives school of excellence award.